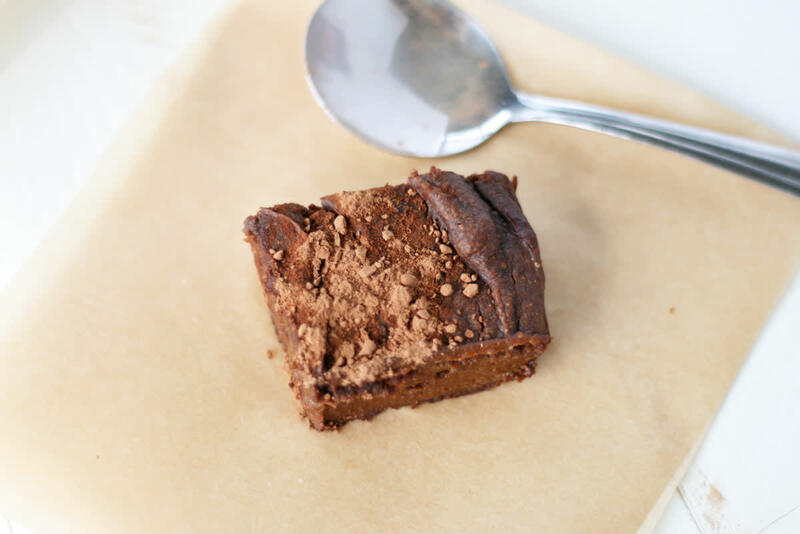 Fudgy, thick, chocolaty sweet potato brownies -- because baked goods can and should be a part of every dietary lifestyle, whether that’s vegan, gluten-free, or paleo. 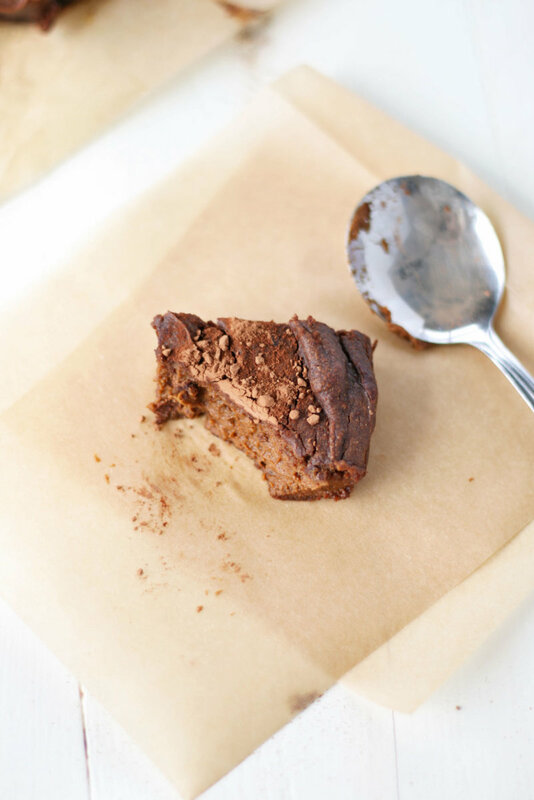 With just six ingredients, minimal preparation time, and a quick bake in the oven, these sweet potato brownies are healthy and nutrient-packed, but still something perfectly sweet. 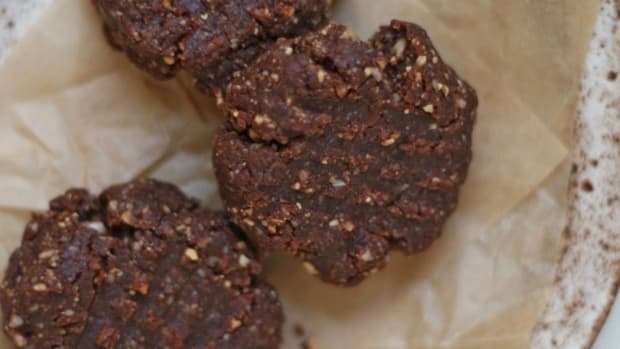 The best part, of course, is that these brownies are free from animal products and grains. Sweet potatoes are super versatile tubers. They can be mashed, roasted to perfection, baked, turned into quasi-toast, soup, curry, salads, and so, so much more. A lesser-known use of this orange-hued beauty is to bake it into sweet treats and desserts. 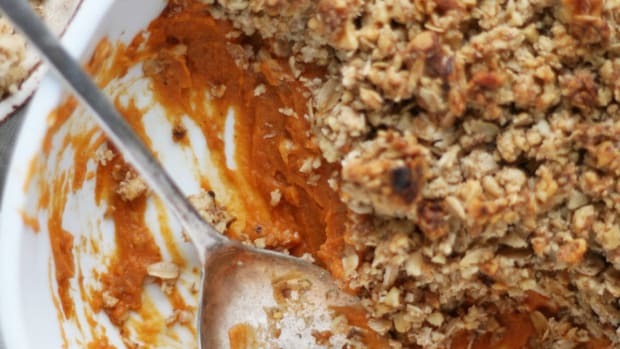 Like pumpkin and other forms of winter squash, sweet potato can easily be pureed and used as a baking ingredient. Rendering a creamy texture and subtly sweet taste, sweet potatoes work effortlessly in pies, cakes, muffins, cookies, and (life-changing) brownies. In this sweet potato brownies recipe, sweet potatoes are peeled, chopped, and steamed until soft. They are then blended to form a thick and creamy purée, which acts as the base and binder of the brownies. 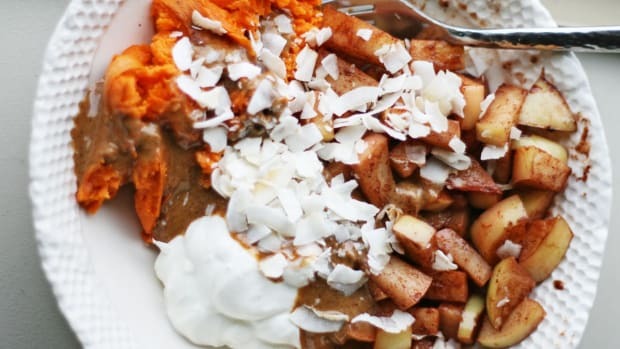 The sweet potato purée is then mixed with creamy cashew butter, cocoa powder, maple syrup, coconut oil, and a pinch of sea salt for balance. If necessary, make recipe modifications depending on what ingredients you may have on hand. 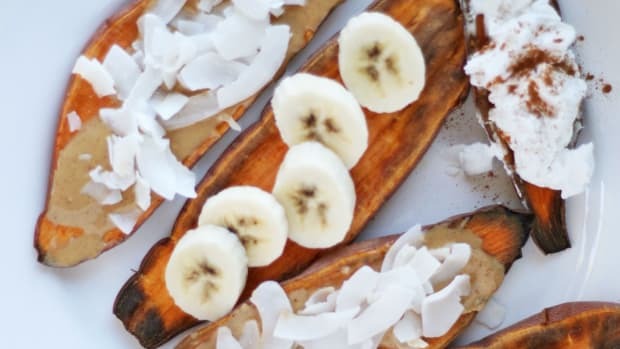 Cashew butter can be replaced with a different variety of nut or seed butter (almond, peanut, sesame, sunflower), while maple syrup can be swapped with honey (not vegan). 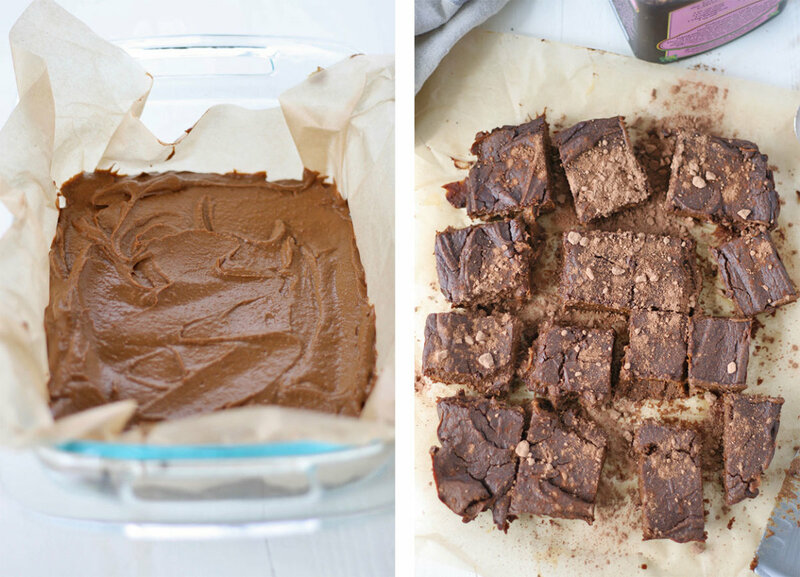 Sweet potatoes not only whip up delicious brownies, they’re seriously nutritious, too. Packed with antioxidants, vitamins A, C, B6, B5, and E, potassium, copper, and manganese, sweet potatoes offer an impressive array of nutrition for head-to-toe health. Specifically, orange-fleshed sweet potatoes are rich in beta-carotene, an antioxidant that is converted to vitamin A in the body. Vitamin A is essential for immune function, healthy vision, and skin health. 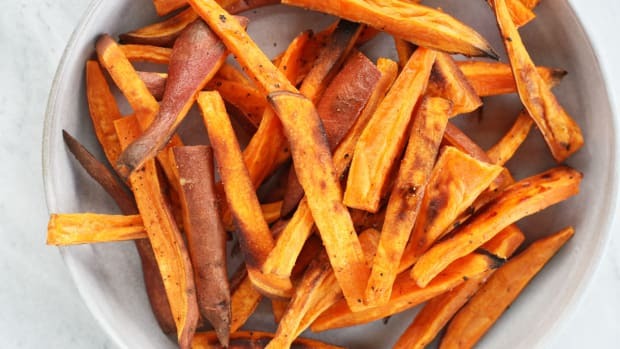 Just one cup of baked sweet potato provides more than 200 percent of this vital vitamin. Eat up! Along with nutrients, sweet potatoes are filled with fiber, which is essential for moving things along in the digestive tract and lowering cholesterol in the process. It is recommended that men consume 30 to 38 grams of fiber a day and 25 grams a day for women between 18 and 50 years old; 21 grams a day for women 51 and older. 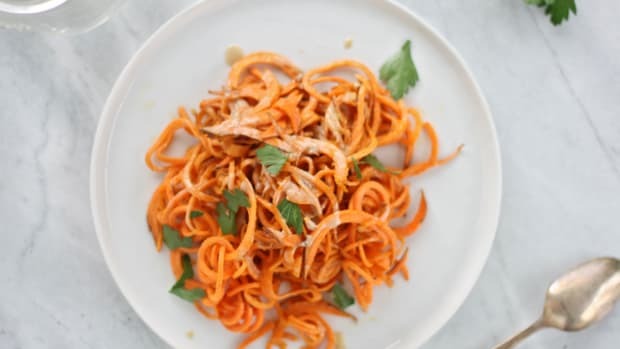 One cup of cooked sweet potato provides roughly five grams of fiber, which makes a delicious addition to the daily fiber quest. Filled with nutrients, fiber, and a delicious taste, sweet potatoes are perfect brownie ingredients. 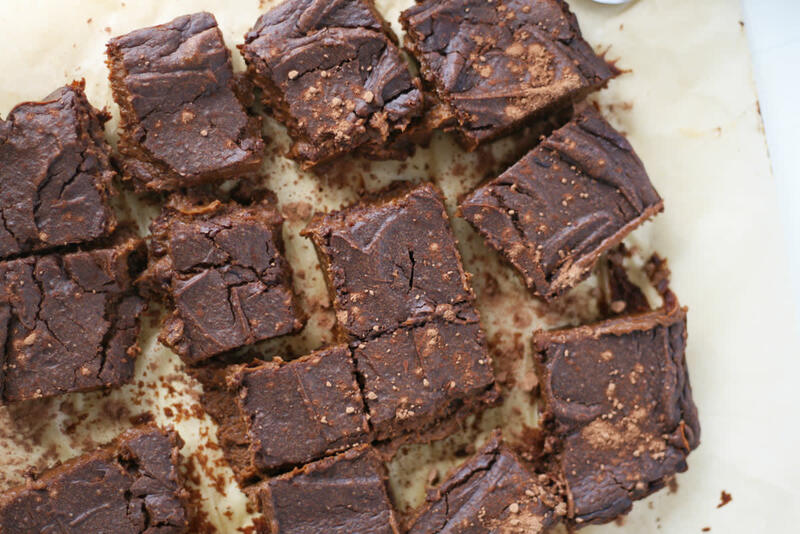 With just one bite of these fudgey sweet potato brownies, you’ll agree, too. Preheat oven to 350 degrees Fahrenheit and line a small baking tray with parchment paper. 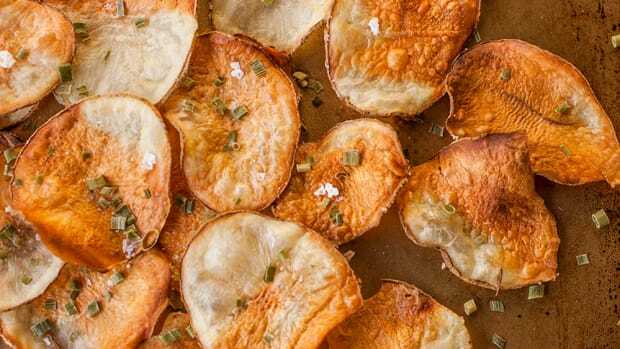 Peel sweet potatoes and cut into large chunks. Steam in a steamer basket for 8-12 minutes, or until sweet potatoes are easily pierced with a fork. 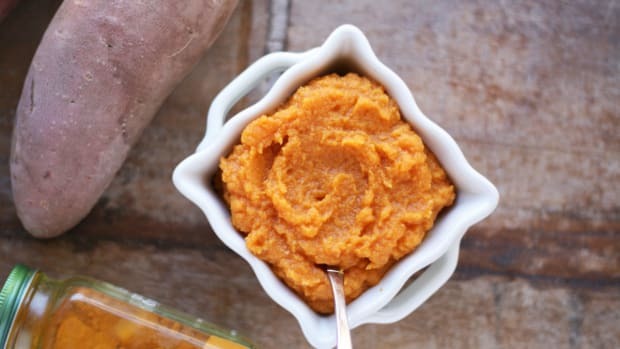 Add sweet potatoes to a high-speed blender or food processor and blend until smooth, creamy, and no chunks remain. To sweet potato purée add cashew butter, maple syrup, cocoa powder, coconut oil, and sea salt. Blend on high until mixture is incorporated and completely smooth and creamy. Pour into lined baking tray. Bake brownies for 35-45 minutes, or until a toothpick inserted in the center comes out clean. Remove from oven and let cool in the pan for 20 minutes before removing parchment paper and brownies from tray. Sprinkle with cocoa powder, slice, and devour. Store brownies in an airtight container in the refrigerator for up to five days.